Banlaw is a respected corporate citizen and lends its support to a number of community based organisations and initiatives which assist in improving the quality of life for the community. 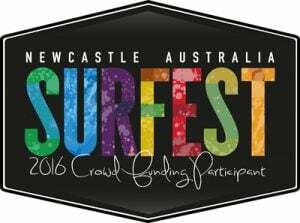 Banlaw was part of a crowd-sourcing project to deliver a 6 Star Women’s Event at Surfest 2016, bringing the cream of women’s international surfing talent to Newcastle. Banlaw is a proud, long term supporter of the CommStrength Foundation, a non-profit charitable organisation funded solely by the community and business groups. The Foundation was established to support the valuable work of Father John Macpherson, serving the often neglected needs of the younger community. The primary objective of the Foundation is to support young persons aged 15-25 years, and advocate change for issues that impact upon their welfare. Banlaw is a proud sponsor of Merewether Carlton Rugby Club in New South Wales, supporting teams at every level of competition including the senior grades, colts and women’s teams. We are regular donors to the Australian Red Cross, supporting their vital relief such as delivering aid and shelter to communities devastated by natural disaster, and supporting vulnerable people in Australia and across the world. Banlaw achieve a high standard of environmental sustainability in conducting our business as a competitive organisation. Continuously improving the processes and prevention of pollution to minimize the environmental impacts resulting from our operations. Complying with relevant environmental legislation, regulations and other relevant requirements. Communicating with all stakeholders including local government and community on environmental issues and where appropriate, contributing to the development of policies, legislation and regulations that may effect our operations. Providing adequate reference to the nature, scale and environmental impacts of our activities, products or services. Raising environmental awareness of our employees and training to make them aware of their environmental responsibilities and accountabilities. Act in accordance with compliance measures introduced and developed by the company. Using a suitable contractor or processes to dispose of waste generated by our processes. Any waste generated by our sub-contractors on sites is appropriately processed. Regularly monitoring and reporting environmental performance to stakeholders. Defining the environmental goals and objectives at our Management Review meeting and review them during subsequent meetings. Reviewing this policy during the Management Review meetings. Dealing with any breeches of this policy using our Disciplinary Procedure.